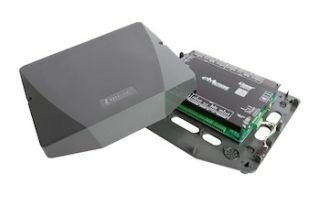 Linear LLC, a provider of residential and commercial access control, emergency response and security solutions, has revealed the first products in its new eMerge e3 Series, the eMerge Essential and eMerge Essential Plus embedded browser-based network appliances. Designed to suit most moderately-sized businesses, the new eMerge Essential units provide 1-door/2-reader access control and immediate out-of-the-box expansion capabilities to grow the system to 4-doors/8-readers with no additional hardware required. Reliability is a priority with eMerge, so all e3 Series eMerge systems rely on an IT-friendly embedded Linux operating system. By using solid state hardware, eMerge products are protected from risks including: hard drive failures, virus/spyware attacks, and Microsoft updates which can unknowingly take a system offline. Additional access control assurance is provided via the optional Power over Ethernet (PoE) or the ability to backup via uninterruptible power supply. The eMerge Essential Plus includes a self-contained battery back-up with a UL294-approved 60-watt supervised power supply, enclosed in heavy-duty steel cabinet. Adding to the Linear e3 Series' value is an intuitive, ultra-fast setup wizard that saves hours of setup time versus traditional systems. Integrated inputs/outputs enhance functionality while a high-speed processor can handle more than 30 transactions per second, allowing multiple users to access simultaneously. The eMerge Essential and Essential Plus also grow with a business, seamlessly scaling up to more robust eMerge e3 systems, such as the Elite 36 or 64, when additional doors and readers are necessary, via a simple software upgrade. Once installed, remote management enables system status access and updates with any browser on any operating system via the Internet. The eMerge dashboard includes floor plans and event logs offering a full system status at a glance, optimized for viewing on computer monitors, iPhones, iPads, Androids and other mobile devices. Data can be backed up automatically to Micro SD or FTP-based storage to ensure there's always a record of who has come and gone. "The Linear eMerge Essential has all the access control and management features many businesses require, whether they are in commercial, industrial, banking, medical, retail, hospitality or some other segment," said Duane Paulson, senior vice president of product and market development. "eMerge offers tremendous value from a cost perspective but also because customers can easily install an entry-level solution with features normally found in large-scale systems, and still upgrade to more doors and readers as the business grows."